Top and Lower Teeth Braces for Kids and Adults. Affordable Payment Plans Available. Get a FREE Initial Consultation Quote for Braces. No Obligation. Amazing Smiles is built of a team comprising of professional Cosmetic Orthodontic Dentists. Orthodontic dentistry treatment is an important investment for your future that will help to correct and realign your teeth. Moreover, the realignment and straightening of teeth can bring your teeth to an ideal biting position. Furthermore we provide orthodontic alignments for kids and teens. 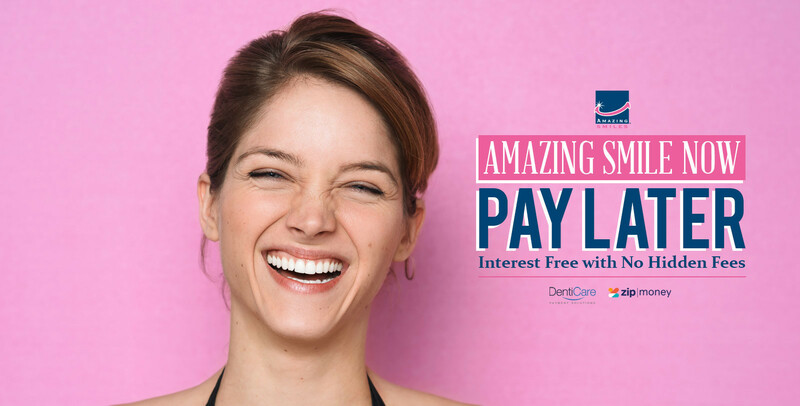 Amazing Smiles offer patients Invisalign and traditional metal brackets. For best and fastest results, we generally recommend metal braces. Alternatively, we also provide clear ceramic brackets that offer a discreet appearance for those cosmetically conscious. Treatment times for braces do vary but the average is 12-18 months. Invisalign removable braces are also available. Terms: Upfront initial deposit required. In addition total costs vary from patient to patient as a result from the requirements of alignment and consultation times required. Above all, the average time frame of metal braces is relative to complexities of teeth and bite structure. Specifically this will be advised upon initial free consult for braces.